A view of the Vltava River winding under the Charles Bridge, Prague’s romantic walking bridge. 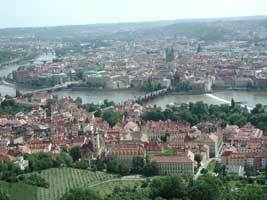 Join us in Prague, the geographical heart of Europe, a showcase for centuries of architecture, music, culture, and art. 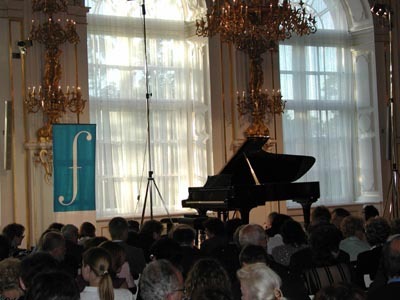 Discover for yourself the historic City of Spires, stroll the lanes where Smetana, Mozart, and Dvorak walked, thrill to their music in the majestic concert halls where their compositions premiered decades, even centuries ago.